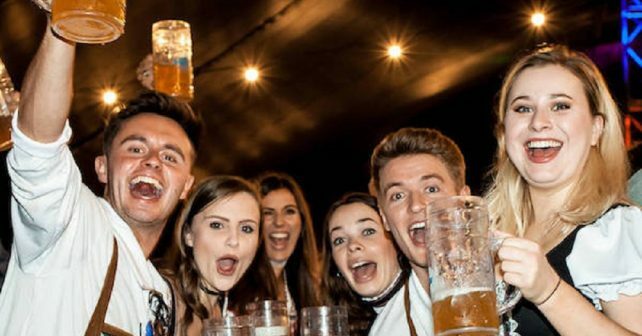 It’s that special time of year when beer lovers converge, knock back some steins, feast on pretzels and party across the capital. Oktoberfest is here. We’ve put on our finest lederhosen and dirndls and scoured London for the best Skint friendly deals. Ja, ein bier, bitte. Get ready for a double whammy of beery action at London Oktoberfest 2018. The multi-site medley kicks off at a cavernous space in Canary Wharf before moving north to Finsbury Park. Organisers are transforming both venues in to gigantic German beer halls so expect oompah-oompah music, traditional Bavarian munch and mountains and mountains of golden ale. It’s destined to be immense, in all meanings of the word. The Millwall Park tent can hold 2,500 and more than 3,000 in Finny P. Germanic ghouls can also check out the one off Halloween party. Bavaria is coming to Brixton this month with consecutive Saturdays of craft lagers, beer pong, live music and German electro. 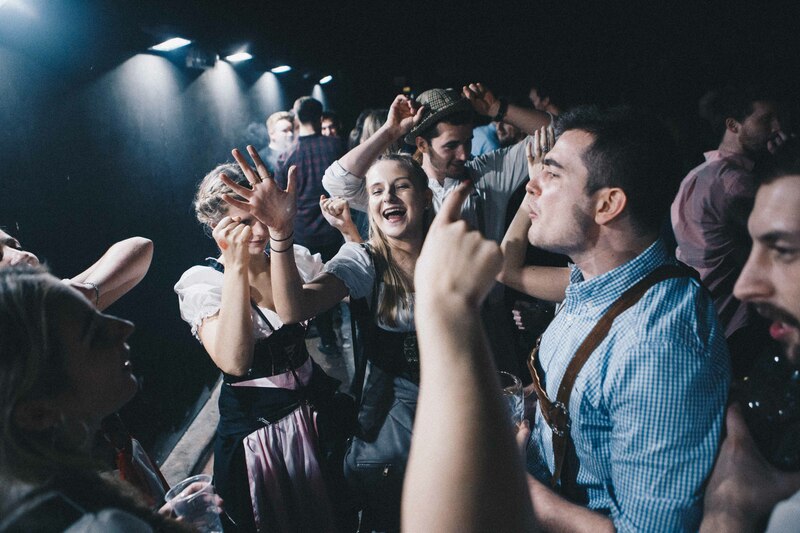 Brixton Oktoberfest will also host a Berlin-themed club room playing immersive techno beats bringing a little bit of hipster Kreuzberg to south London. Uber-cool. Southwark will be turning in to a mini-Munich this month. Oktoberfest at Flat Iron Square will feature German bands, massive steins and fabulous fancy dress. Entrance is from a tenner and includes a free drink and entry to the beer tent. It’s coming up pronto so you’ll have to be quick to bag a ticket. For some food and boozing with a difference, check out the meat-free joys at Greenwich Market’s Vegan Oktoberfest. The FREE evening event features vegan beers from London stalwarts Southwark Brewing and Five Points among others, plus specialist pizza, hot dogs and cakes. There’ll be live jazz and a DJ providing the soundtrack in the indoor beer tent.